Although Sirium and XM Satellite Radio had merged in the USA, in Canada the two companies continued to operate independently. 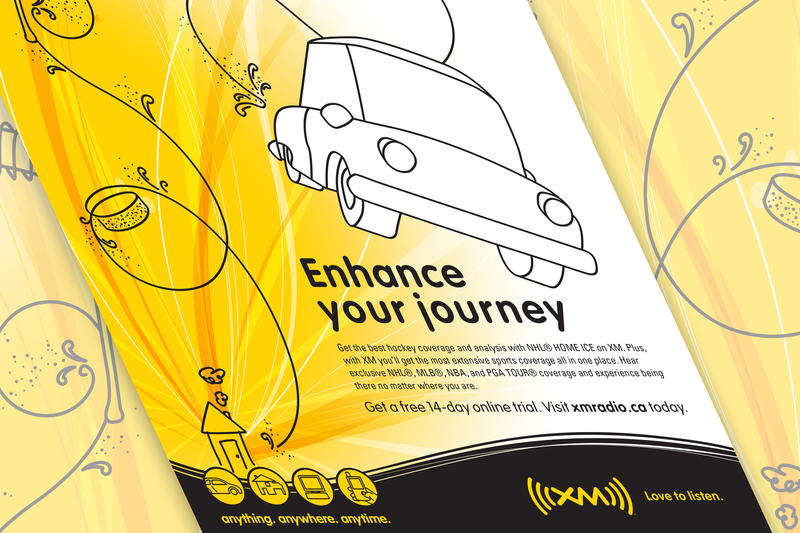 In 2009, Field Day was contracted to conduct a review of the XM brand, perform consumer research to determine attitudes towards satellite radio and to identify viable target segments, and to developed new branding, messaging and creative platform for XM Canada and its new product offering: XM Online+. One of the key challenges was misconception that satellite radio could only be accessed in a vehicle, even though XM was available in a portable format that could be enjoyed anywhere - even on the dock at the cottage. 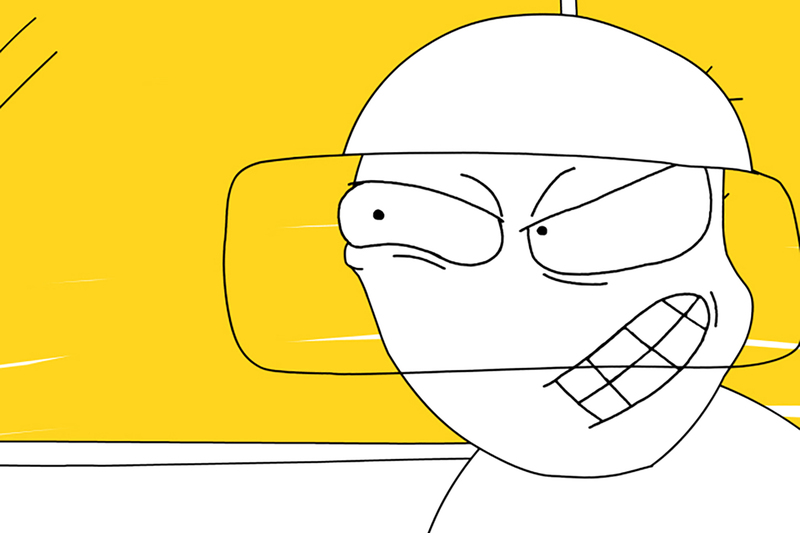 Field Day's messaging and tagline conveyed the emotional benefits of the product. The tagline, "Love to Listen", summed up the response of XM's customers. 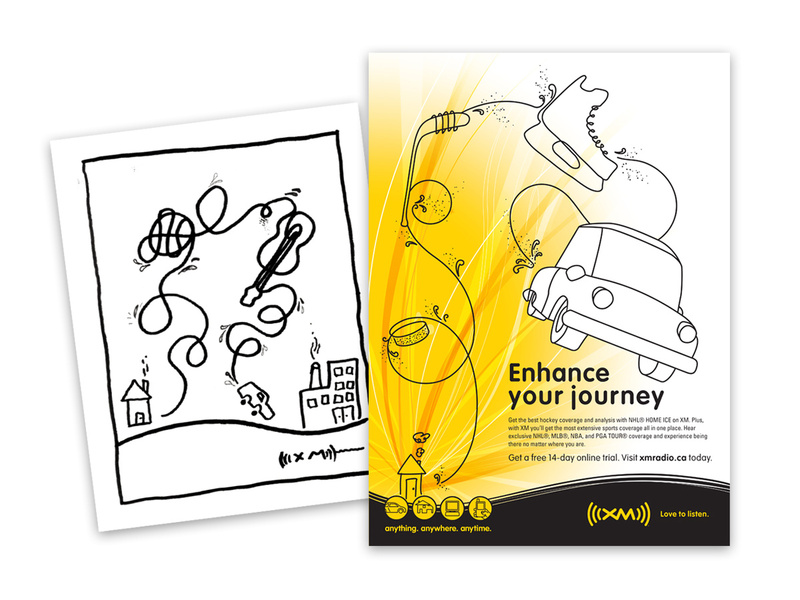 The primary message helped to convey the versatility of the product: "Wherever you go and whatever you're doing, XM enhances the journey." The creative platform was an extension of the brand's existing colours and line art characters, but updated to give them more of a quirky, playful style. 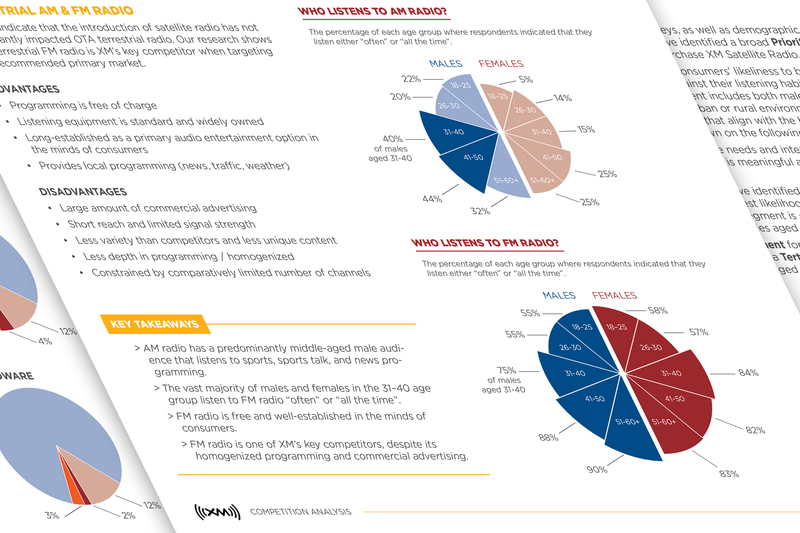 Advertising creative showed both a male and female consumer on their personal journeys, and being transported by the XM experience. 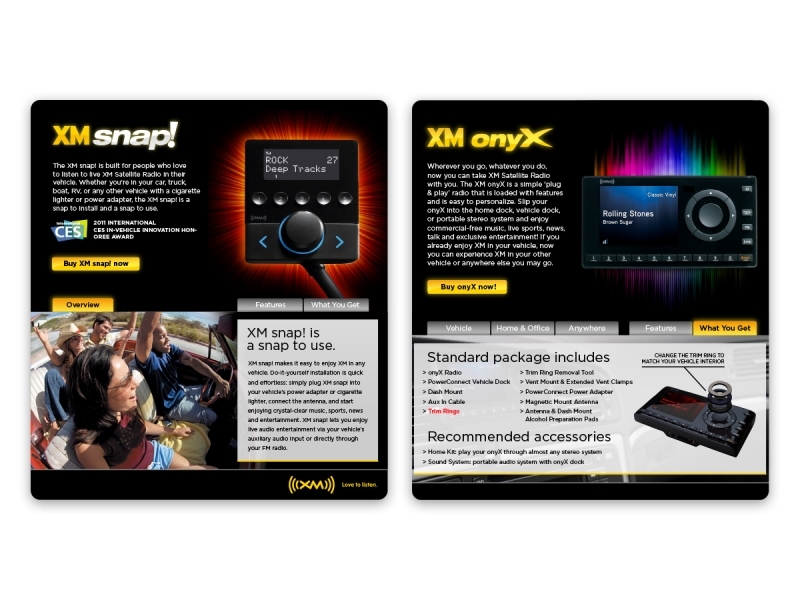 Field Day developed ad campaigns for various promotions, targeted and segmented HTML email campaigns, online contests, and online interactive demos of XM's portable radios. The ROI on the campaigns was significant. For example, a targeted "win back" email campaign resulted in 10 times XM's normal response rate, with 78% of respondents opting for the more expensive 12-month subscription package. 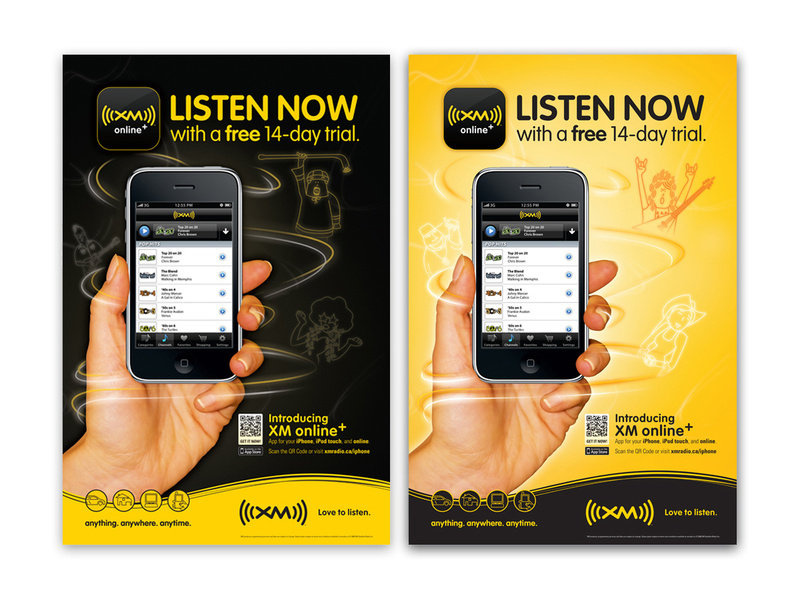 Since the merger of XM and Sirius in Canada, the company continues to use the XM messaging and tagline as the foundation of their product marketing. Tagline, primary messaging, benefits messaging and creative platform. Radio, TV, print and online advertising, direct marketing, split offer email marketing, web and digital development.